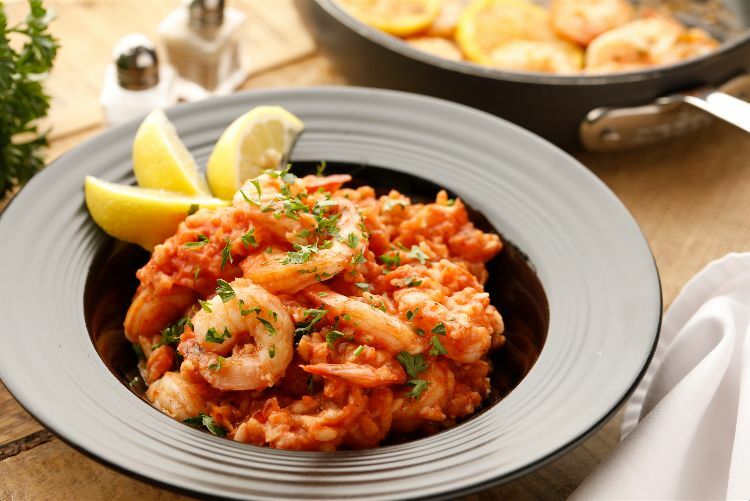 Shrimp risotto is delightfully delicious and unexpected in so many ways. It often includes tomato paste, as in the recipe that follows, which gives it just the right amount of tartness and tanginess. And of course, the shrimp gives it a slight twist that is not only tasty but healthy too. Many people believe that you can't cook fish in a slow cooker because it cooks so quickly and with a long cooking time it will become overcooked and rubbery. 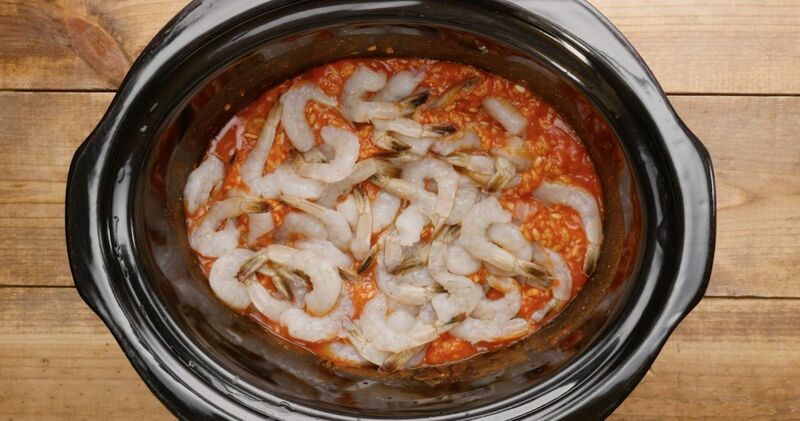 Although it's true that you shouldn't typically cook fish for a long time in the slow cooker, you can cook most of the dish and add the shrimp in at the very end. That's just what this dish does, proving once again that your slow cooker can always step up to get the job done. Place the Arborio rice, tomato paste, chicken stock, garlic and Old Bay seasoning in the bottom of a 6-quart slow cooker. Stir to incorporate all ingredients. Place the lid on the slow cooker and cook on high for 1 to 1-1/2 hours, until rice is tender and most of the liquid has been absorbed. Remove the lid and add the shrimp. Cook on low for another 30 minutes to 1 hour, until the shrimp is cooked through. Add in Parmesan cheese and stir well before serving.